So, you have (or are expecting) twins? Congratulations! We’ve collected some great resources for parents of multiples to help you on your way, both on our site here and elsewhere around the web. Here are some things you’d probably like to know if you’re hoping or planning to have twins. Chances of Having Twins – detailed statistics on the probability of a twin pregnancy, and just how special you are for having them! Twin Pregnancies – symptoms of a twin pregnancy and what to expect in terms of body changes and medical care. Types of Twins – details on the different types of twins, including such fancy words as monozygotic/dizygotic, monochorionic/dichorionic, monoamniotic/diamniotic. Twin Baby Names – our list of some of the most popular baby names for boy-boy, boy-girl, and girl-girl twins. 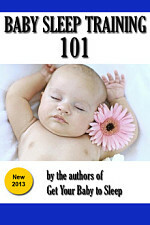 Helping you prepare for, and get through, the ride of your life: the arrival of newborn multiples. 8 Ways to Help New Parents of Twins – share this with your friends and relatives. Surviving the First Few Months – our guide to getting through those crucial, crazy new times. Books for Parents of Twins – we review our favorite “literature” on parenting twins and multiples. You think things got complicated when your twins were first born? Wait until they start walking, running, and climbing everywhere! Babyproofing for multiples – things you can start working on right away to keep those little ones safe. Teaching babies to walk – some exercises recommended by physical therapists to help your twins take their first steps. Toddler safety tips – once they do start walking, it’s like, “Oh, crap!” No amount of babyproofing is enough. Blocks for toddlers – if anything can get your little ones to sit down and play, it’s some of these creative block sets and building designs.